It’s 9am in the Dominican Convent in Dún Laoghaire, Co Dublin. A patient column of people runs all the way down the street as far as the Chinese-run New Paddy phone repair shop. The only other shop doing business so early on a Friday morning is May’s Occasions, which is busy selling communion dresses, tiaras and parasols to cater for the last-minute panic ahead of the big celebratory weekend. Irish citizens might be about to repeal the constitutional amendment on abortion, but no one would lay a finger on our divine right to host a full-on, over-the-top communion, replete with bouncy castles, gazebos and Instagram poses. Down here on the coast south of Dublin the polling station is jammed; the returning officer has never seen anything like it in her 20 years of supervising. By four in the afternoon, turnout has already hit a massive 43.7 per cent. In other votes, it would typically have been half that. Something is afoot. 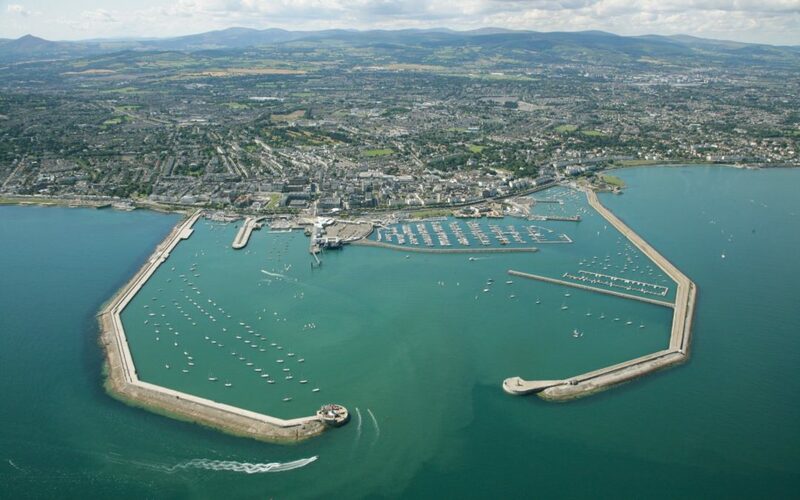 This is Dún Laoghaire: traditionally, Ireland’s most liberal constituency and, for years, the antithesis of “Middle Ireland”. Here the locals have been baptising and confirming their children for years, without believing a word of it. Being a pro-Communion Repealer sits easy here. It’s an ambivalent place. But so too now is Ireland. Ahead of the referendum, both sides thought the result would be tight. Liberal Ireland and Traditional Ireland were thought to be neck-and-neck. In the end, we weren’t split at all. The overwhelming majority, albeit a private and non-vocal majority, were liberal, not conservative. In one generation, to use VS Naipaul’s phrase about India, “millions of little mutinies” had kicked off inside Irish heads. The result? The values that Dún Laoghaire held at the time of Pope John Paul II’s visit had become Ireland’s values by the time Pope Francis addressed a much-diminished crowd in a gale at Phoenix Park almost 40 years later. This dramatic shift in Ireland’s value system poses a few critical questions. How did Dún Laoghaire’s liberal attitude, once regarded as an outlier, become mainstream? How did we move from Moving Statue Catholicism, cowed by rules, vindictiveness, superstition and fear, to Bouncy Castle Catholicism – still culturally Catholic, loving the big day out, but morally pragmatic, embracing all-comers and energised by ambiguity, acceptance, facts and hope? And how did this cultural transformation affect the economy? The last time we voted on abortion, in 1983, Dún Laoghaire was a liberal enclave in a deeply conservative country, the constituency with the largest vote against the insertion of the eighth amendment (a de facto ban on abortion) into the constitution of Ireland. It was more middle-class, more cosmopolitan and more liberal, with higher levels of education. The fact that it also had a higher concentration of the very small Protestant population contributed to the sense that it was that little bit beyond the reach of the crozier. Today, Dún Laoghaire’s values, once seen as radical, are mainstream. We have witnessed the Dún Laoghaire-isation of Middle Ireland. Back in 1983, as a teenager just too young to vote, I remember feeling proud that almost six out of every 10 people in my neck of the woods had rejected the Church and its doctrine. The Church had never played a huge role in our lives. As we hung around Dún Laoghaire pier, drinking flagons and looking towards England, spiritual home of The Clash, The Specials and Liverpool FC, we were aware that our reasonably “live and let live” Dún Laoghaire existence wasn’t the Irish norm. Our place felt surrounded by another Dublin, defined by the enormous churches built in the 1970s to house the burgeoning faithful for generations to come. These monuments were the Calatrava bridges of the 1970s suburbs. We may not have built rail links, schools or hospitals in the new suburbs but, by Jaysus, did we build churches! They were built to show off, lest the last few Proddies be under any illusion who was boss. Past these suburban triumphal arches, another Ireland existed. In that other, much bigger Ireland, people saw moving statues and – even more distressing – bleeding statues. Some of our cousins came from out there; we’d heard the stories and had no reason to disbelieve them. RTÉ beamed that strange country into our homes. It was a world of swaggering priests in soft Dubarry shoes, mad-looking politicians with combovers, and something called The Sunday Game. The country was permanently a few short weeks away from bankruptcy. Dads on the road talked about something called the National Debt, which we understood to be big, bad and about to explode. The south Dublin tribe and the country tribe were regularly painted as being polar opposites of one another. South Dubliners were thought to be cosmopolitan, open, pompous and were not to be trusted. In contrast, country people were inward-looking protectors of deep Irish culture. When JM Synge headed out from Dún Laoghaire, then Kingstown, home to the ranks of the British forces, to Inis Meáin over 100 years ago as part of the fledgling Gaelic League, he headed to the place he believed was the extreme opposite of his home town, the crib of real Irishness, home of the language, sean nós, traditional music and, of course, a GAA stronghold. Yet in the past few years, a great blurring has taken hold, where these old distinctions have melded into something else. Dalkey, formerly home of retired majors and colonels of the British armed forces, stomping ground of Protestant chroniclers of the relationship between Ireland and England, Shaw and Synge, has become the cradle of Irish hurling. Dalkey’s Cuala GAA club have been All-Ireland hurling club champions for two years running. How did that happen? We have described the Dún Laoghaire-isation of the countryside, but what about the reverse takeover, the “culchification” of Dún Laoghaire? In 1979, there was always a big local sporting final on St Patrick’s Day for the schools rugby final in Lansdowne Road, where the sons of the local merchant class showed their true skill and, more importantly, character on the playing fields. Had you told us back then that a Dalkey team would be All-Ireland hurling champions, we’d have laughed at you. Yet, on St Patrick’s Day 2017 and 2018, legions of locals left deepest south Dublin, decked out in the red and white of Cuala, for Croke Park to cheer on a hurling team sponsored by that pillar of south Dublin financial capitalism, Davy Stockbrokers. Yes, you are reading right. When you open your eyes, you see this cultural transformation everywhere. On a warm Tuesday night, Cuala Academy, with over 500 kids under the age of nine, is in full swing. They arrive early in a fleet of Opel Zafiras, each parent with a job to do, each competing in the competence ranking. Such mothers could organise the invasion of a world power before breakfast. On the sideline is a legion of dads, waiting to be marshalled into action. Quite apart from the impressive organisational power on display, the other thing that stands out are the accents. These people were not born around here. Their accents are neither clipped Ryan Tubridy nor old Dún Laoghaire Ronnie Drew, and not many have the local Bob Geldof spliffhead drawl. There are some members of local GAA aristocratic families, but in general most of these parents, or one half of each couple at least, moved here during the great blurring of Ireland. The rise of hurling in coastal south Dublin can be traced back to the free education of the 1960s. The primary force of the cultural takeover of south Dublin has been the emergence of a rural professional class that has come to dominate Dublin’s professions. This is the CAO class, which initially emerged in the 1970s when the first generation to benefit from free education came of age. As Ireland became more meritocratic, exams began to matter more, and the people who were good at passing exams did best. The class that benefited most from free education in the 1960s and 1970s was not, as James Connolly would have expected, the industrial working class, but rather the small farming class. It is their grandchildren who now play hurling in south Dublin. In 1992, two economists, Damian Hannan and Patrick Commins, published a paper called The Significance of Small Scale Landholders in Ireland’s Socio-Economic Transformation. It is our starting point in trying to explain the economics behind the social patchwork that is Ireland today and why south Dublin plays hurling. The writers chart the extraordinary success of the sons and daughters of Ireland’s small farmers in the social revolution of the past few decades. Hannan and Commins found that the single most important determinant, on a county-by-county basis, of a county’s educational achievement in the 1960s and 1970s was the number of small farmers in each county. The more small farmers in a county, the better educated the children ended up being. As a tribe, they were very good at exams and did well in their Leaving Cert. In the 1960s two of the most deprived groups in Ireland were small farmers and the industrial working class. It’s interesting to contrast the fortunes of both groups. Compared with their urban, working-class counterparts, 30 per cent more children of small farmers than those of the urban working class did the Leaving Cert and 50 per cent more went on to third-level education. Over time this changed the complexion of the suburbs. Their success in education also catapulted them into the civil and public services in great numbers. They are now retired as the best-paid public servants in Europe. The next generation, their kids, didn’t become teachers but went up a notch or three on the social hierarchy to become doctors, lawyers, accountants and bankers. Many have adopted rugby, the sport of the old hierarchy, and still support Munster rugby despite never having lived there. However, they have also kept their allegiance to GAA. This is why, three generations later, Dalkey are All-Ireland club champions. After Cuala won the 2018 hurling final, there wasn’t a cow milked in Dalkey that night! What interests me is the how this cultural fusion between Dún Laoghaire and Middle Ireland and the propulsion of the economy went hand in hand. When we dropped strict moral codes, via a three-decade long culture war, the economy took off. Since the late 1980s, the Irish economy hasn’t really stopped. We have even recovered from a global crash, which was traumatic and might have stopped an economy in its tracks for decades, as a similar crash did to Japan. In a world where other countries are divided, their economies stalled, lurching to the extremes, convulsed by existential fights pitting one part of the population against the other, a well-off, relatively chilled Ireland, with a growing economy, surfing a wave of liberal optimism, isn’t a bad place to be 100 years after the State was founded. It’s not perfect, but it’s pretty damn good, and we shouldn’t let perfect bully pretty good. The repeal result, which represents a huge liberal swing in the country since the year the Pope’s Children were born, wasn’t a triumph for Dún Laoghaire, or for cosmopolitan Ireland over traditional Ireland, but it was a fusion of the best of both, a synthesis of a bit of everything. This new deal allows a person to vote enthusiastically for repeal on Friday, May 25th, and get up the following morning on Saturday, May 26th, the last day of Communion season, and sit proudly in Mass overseeing their daughter’s entrance into the Catholic Communion. Ireland, so often a place of extremes, has blended into a centre. Differences that we thought were set in stone have faded away. The link between tolerance and subsequent economic growth – let’s call it the liberal dividend – is the story of modern Ireland. It is often argued that, as any economy becomes wealthier, we the citizens benefit from the stronger economic performance and become more tolerant precisely because we are less threatened commercially by people and ideas that are different from our own. This way of thinking is based on the premise that the economy has a mind of its own, as if divorced from the people who create it. A remote, robotic economy, operating of its own accord, somehow delivers the fruit of some miraculous commercial surge, which we then utilise. Such a conclusion rests on the idea that better working conditions, better health, take-away Indian food, Google, air-conditioning, iPads, orthodontist bills and a generally better lifestyle give us the permission to think for ourselves, change our attitudes, drop conservatism and embrace liberalism. This can only be the case if you believe that the economy and society operate in separate spheres. I’m not so sure this is how it works. It seems to me more plausible that the economy and the society work together and that a philosophical ecosystem that encourages dissent, freedom and questioning is an ecosystem that encourages entrepreneurship and economic dynamism. Ireland’s remarkable period of social and economic national transformation was bookended by the visit of an autocratic pope in 1979 and the visit of a more democratic one in 2018, and by the first abortion referendum in 1983 and the repeal referendum in 2018. The transformation suggests a compelling case that economic values and social values are intertwined. It seems reasonable to suggest that the culture war and the economic surge are related and, ultimately, we didn’t end up with an absolute victory for one side or the other: traditional versus liberal, right versus left, urban versus rural. Instead, we have witnessed a gradual move from the extremes to the tolerant centre, the “radical centre”. In 1983, the year of the first abortion referendum, sliotars in Dalkey were about as likely as Roscommon voting for abortion. Yet, 35 years later, both have come to pass. Dalkey’s Cuala GAA are All-Ireland club hurling champions and rural Roscommon voted to repeal. Good grief. There are three kinds of lies: lies, damned lies, and statistics. With a few facts any story can be told I guess, this is one of David’s worst. Pre 1997, people with modest jobs could buy or rent housing in Dublin. Today, 250€ per week rent is the norm when renting 1 room in a house share. New one bed apartments in Ardilaun Raheny cost €380 k to purchase. More insane than 2007.Half million kidults living with parents. I have a relation that pays €152 per week for a room share 10 mins bus from centre. This is 22% of their net income. There was a general rule of thumb that a tenant must earn min 40 times a months rent to be accepted by a landlord. People that pay €200/wk rent must earn €34,000 net. A working couple could have a €250,000 mortgage for €1,100/mth. €128/wk each and its rent + savings scheme. 22% each of net income and its rent + savings. There is a major problem. Pre 1997,mean net incomes were one sixth of the average house price. In Dun Laoire a person would need not after tax wage of 100k per annum to meet this ratio.During the sixties my father paid one pound a week in Drumcondra for digs,ten per cent of his income.Today, digs can cost € 300 per week. Zero interest rates are totally unsuitable for Ireland. Thanks to joining the eurozone The economy is a brake free roller-coaster. Carnage takes place once a decade,perpetually.